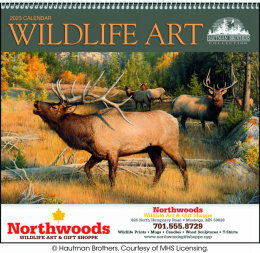 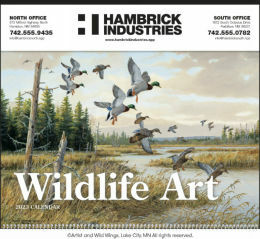 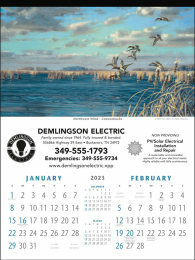 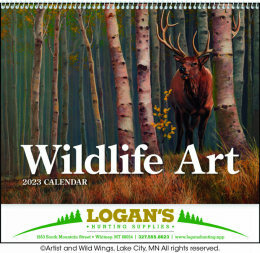 Our line of Promotional Wildlife Calendars include North America & International Wildlife themes, showcasing images of Wild Animals, Wildlife, Ducks, Birds, Fish, Bears, Wolfs, Foxes, Eagles, Deer, Elks, Moose, Bob Cats, Lions, Mountain Goats, Rhinoceros, Elephants, Giraffes, and other subjects suitable for businesses or service providers that deal with Animals, Outdoor activities or Wildlife Animal Lovers in general. 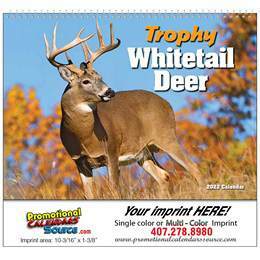 Perfect for Veterinary Clinics, Breeders, Farms, Animal Feed, Animal Hospitals, Animal Shelters, Fund Raising, Bait & Tackle stores, Sport stores, Fishing and Hunting gear stores, Bird watchers, any business dealing with Animal services, Wildlife activities, Pet stores, Parks, and much more. 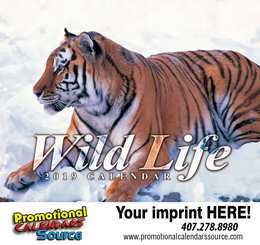 Great selection of Calendars for wildlife lovers. 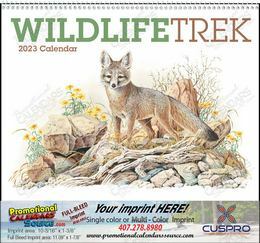 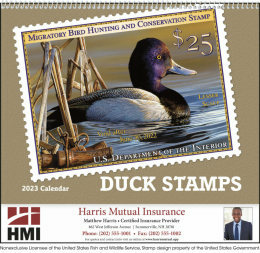 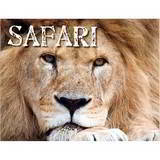 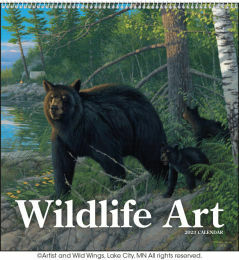 We offers an array of promotional wildlife calendars that include North American Wildlife, International Wildlife, Safari Animals, Marine Animals. 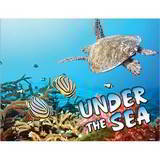 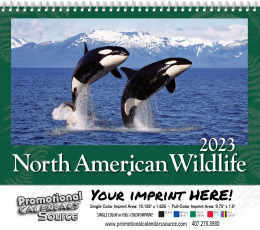 Great for nature and animal lovers and service providers. 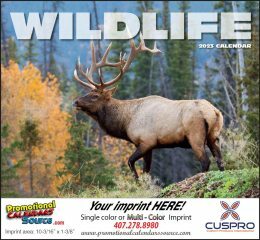 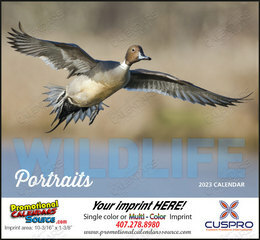 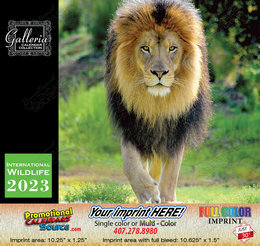 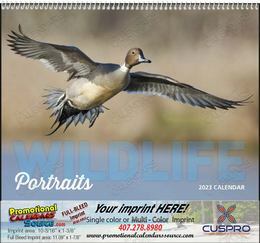 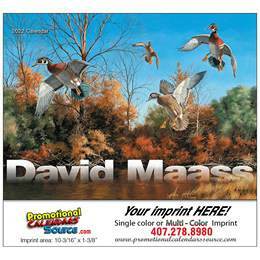 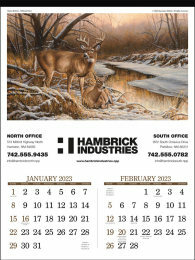 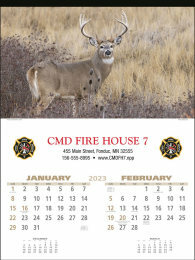 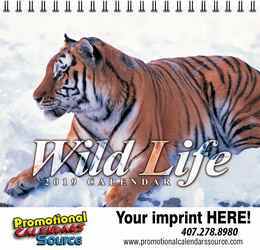 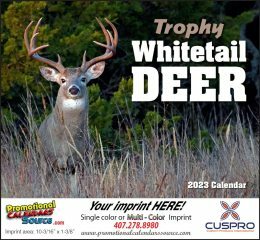 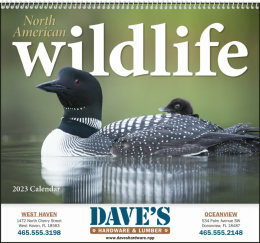 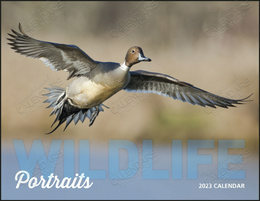 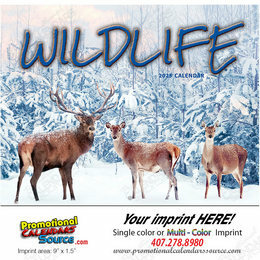 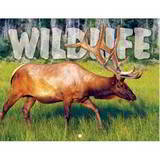 A natural pick to promote your business Custom printed wildlife calendars for advertising your business all year.